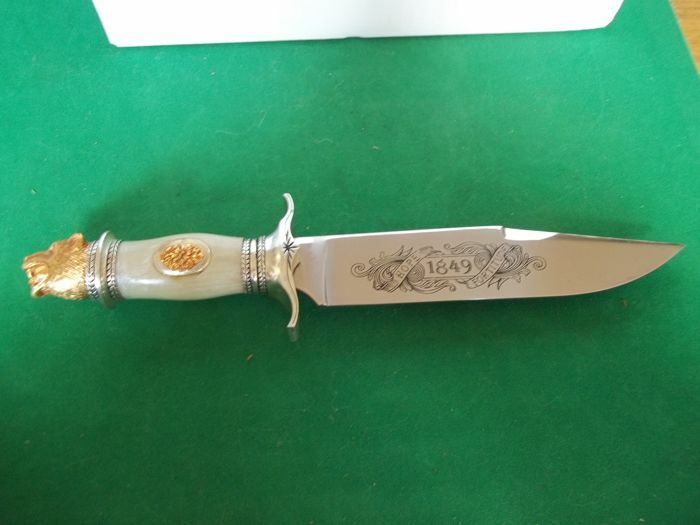 Franklin Mint Bowie Knife Hope and Fortitude 1849 - Bowie Knife with 24 carat gold plated and silver plated elements. 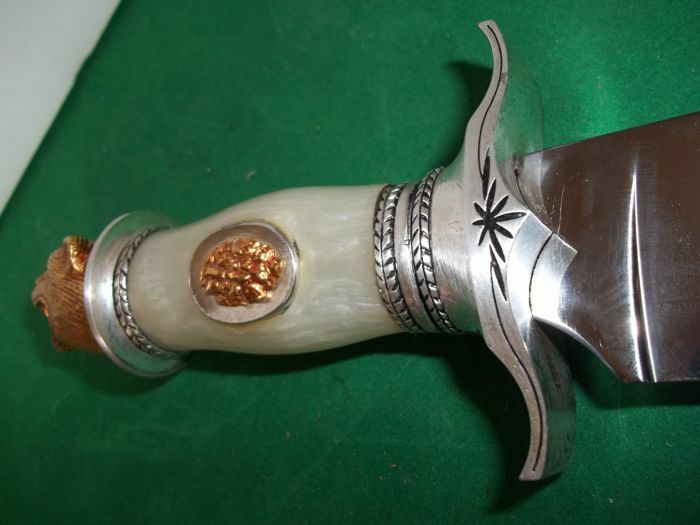 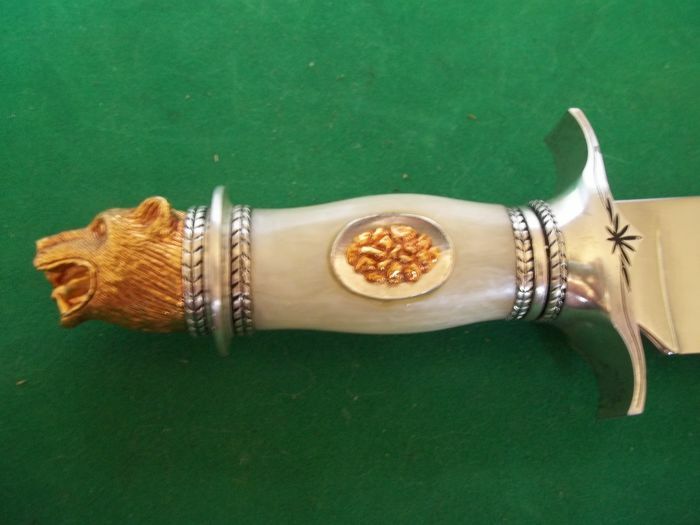 Dagger was commissioned by The Western Heritage Museum and issued by Franklin Mint in honour of The California Gold Rush Centennial of 1849 to 1949. 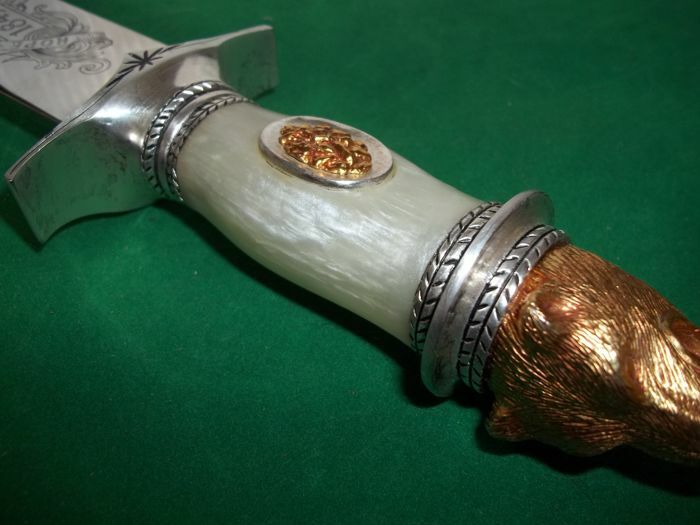 Bowie Knife with 24 k gold plated and silver plated elements. 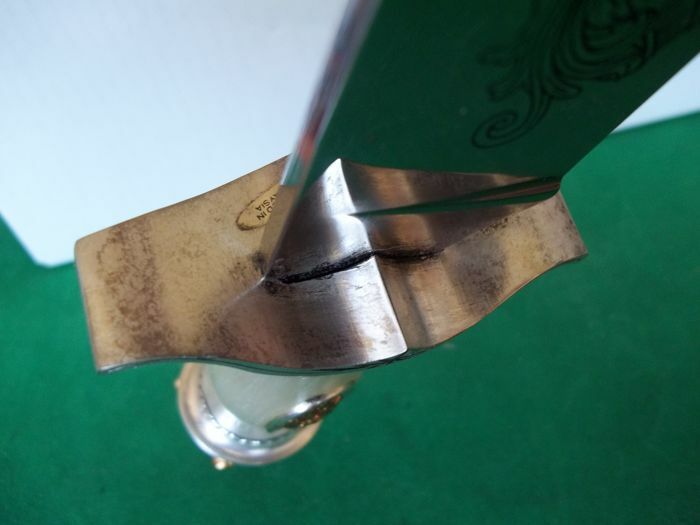 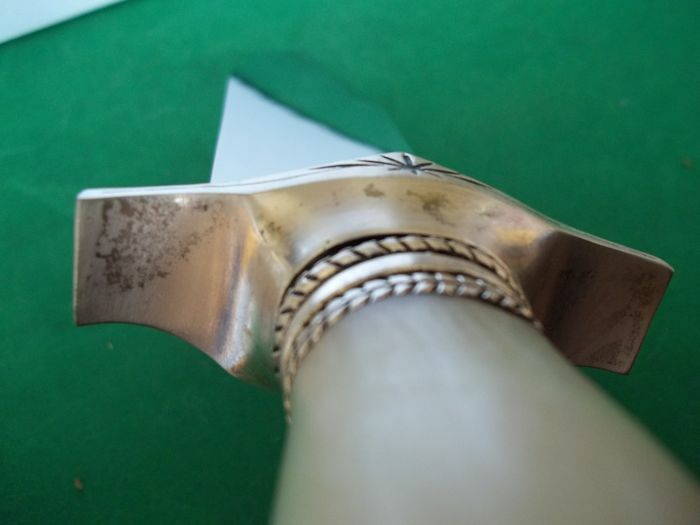 The blade is made of stainless steel and has a protective coating to prevent stains. 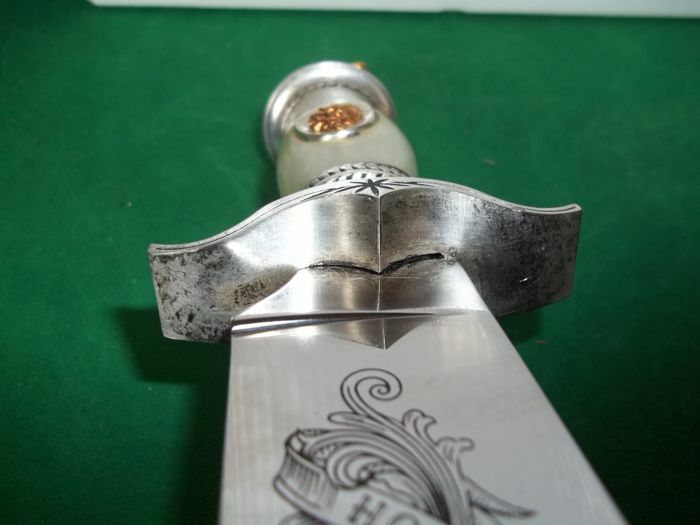 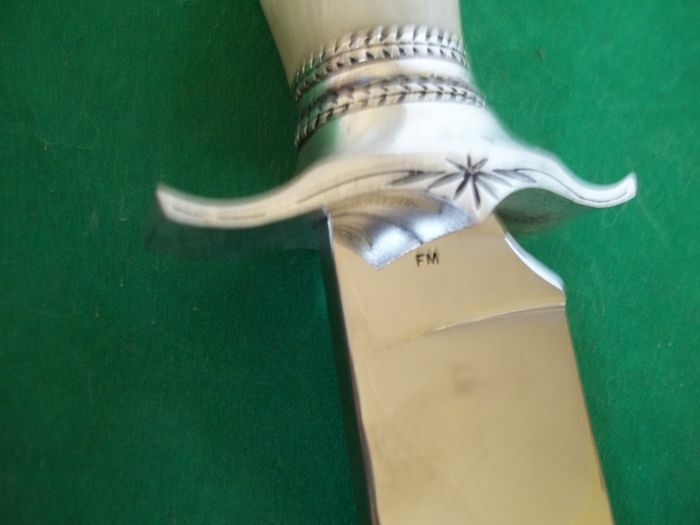 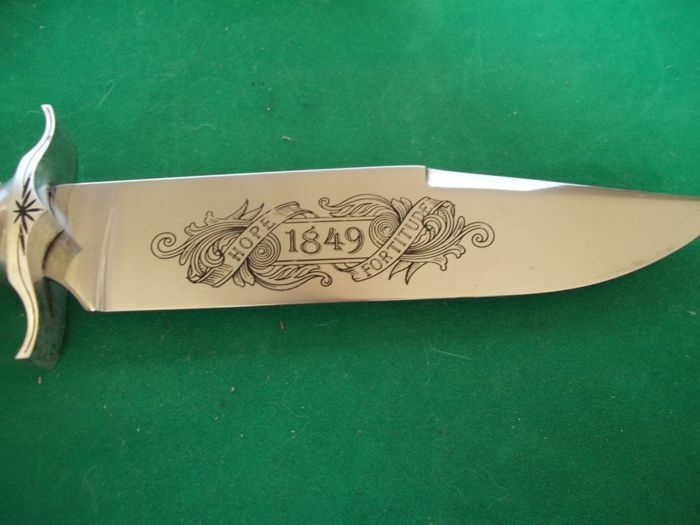 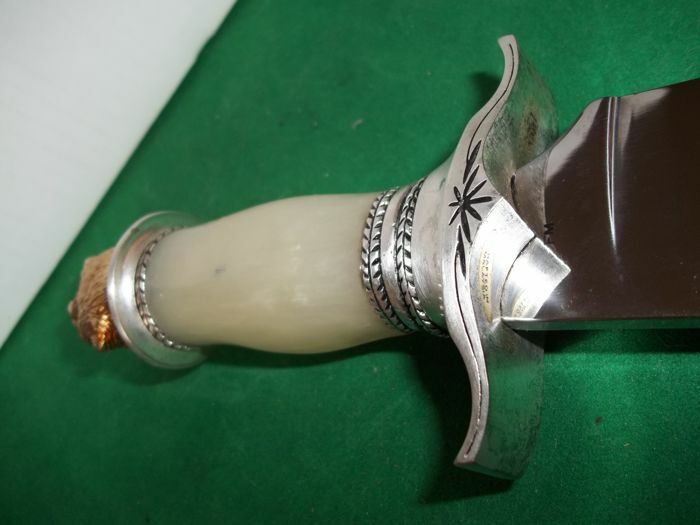 The uncut blade features a nice engraved depiction with the text Hope 1849 Fortitude. 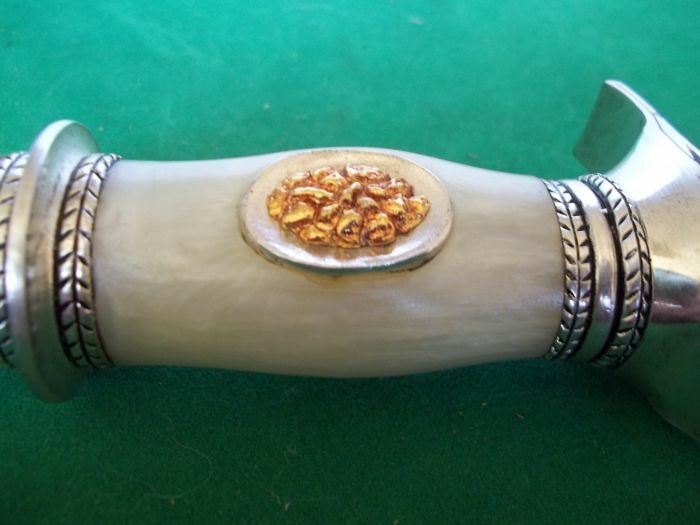 On the semi-precious stone handle is a silvered gold pan with 24 k gold plated gold nuggets. 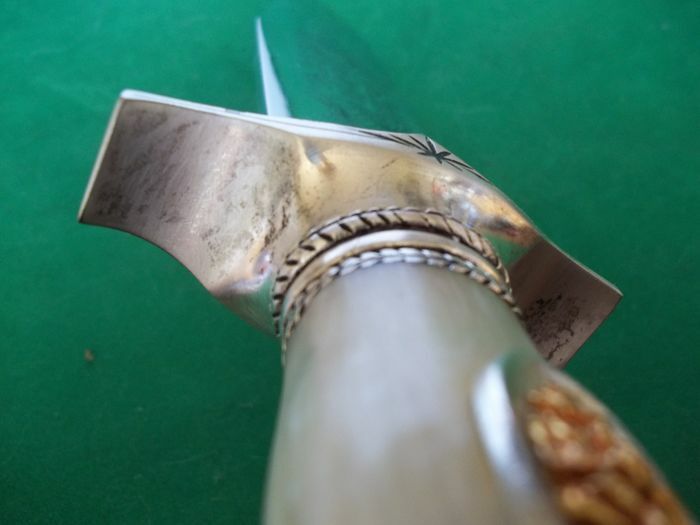 The fender and the decorative frame on both sides of the semi-precious stones are heavy silver plated. 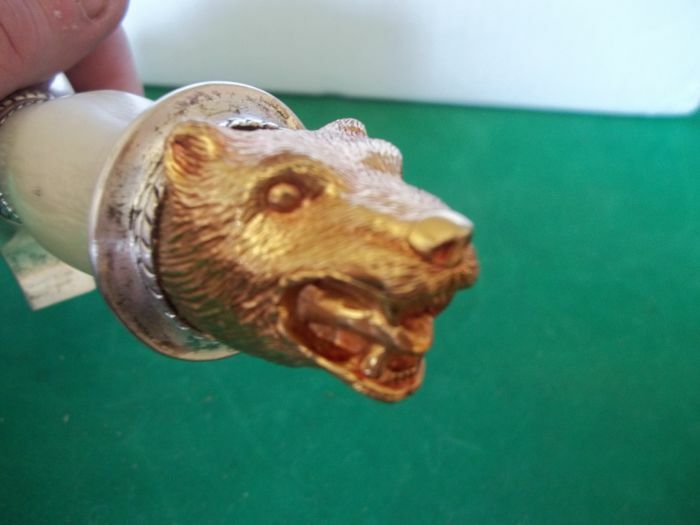 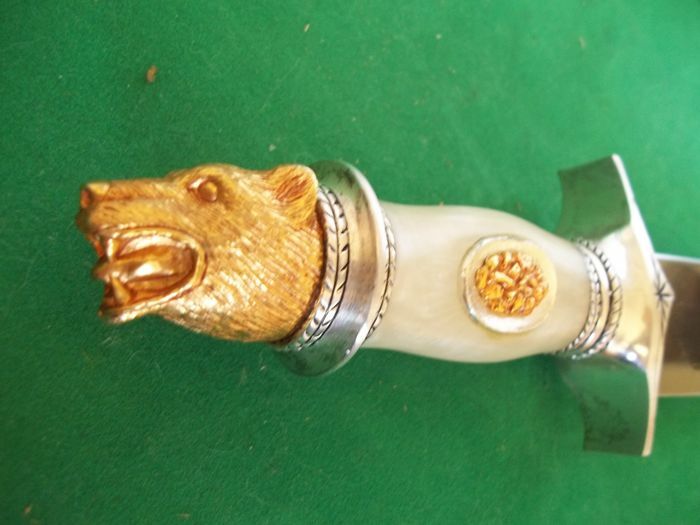 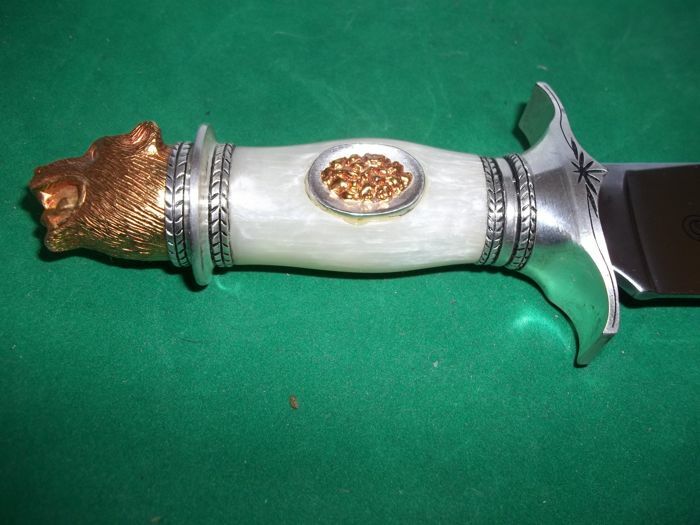 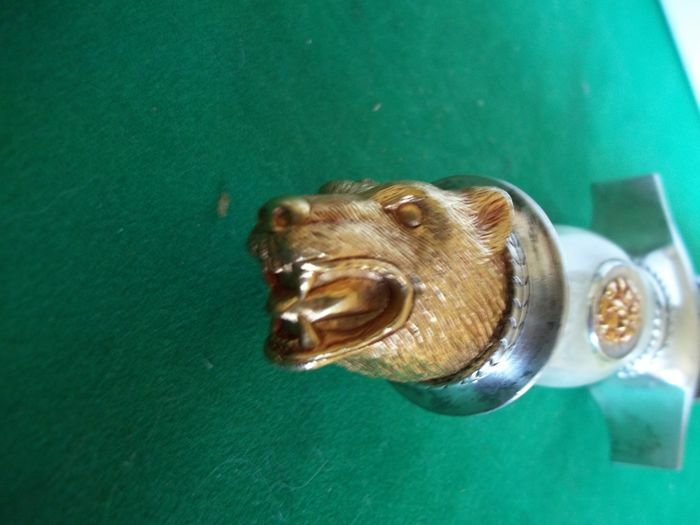 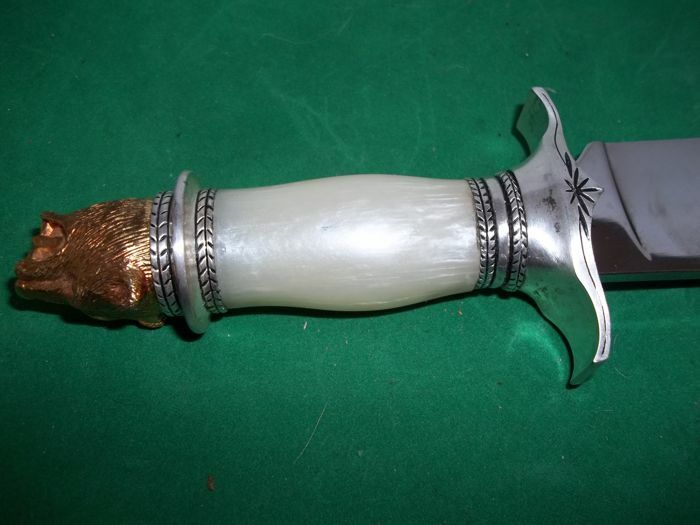 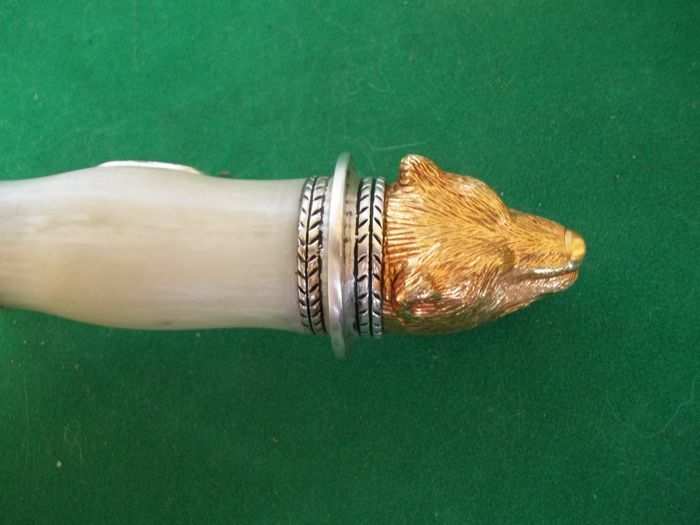 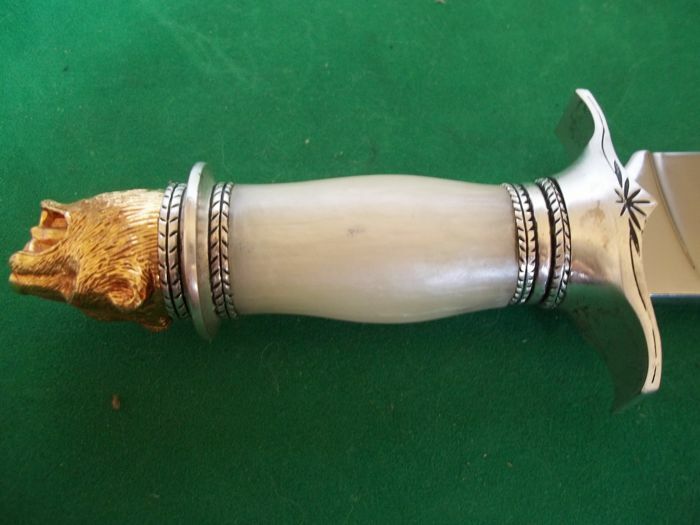 At the end of the handle is a beautiful detailed bear head also entirely 24 k gold plated. 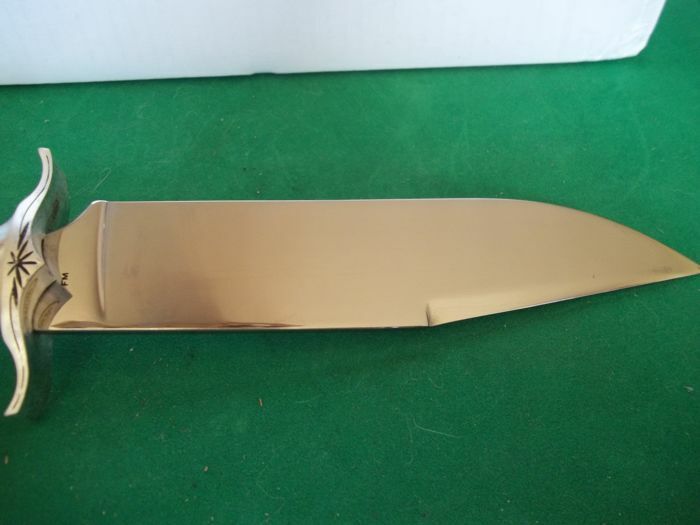 The length is 32 cm. 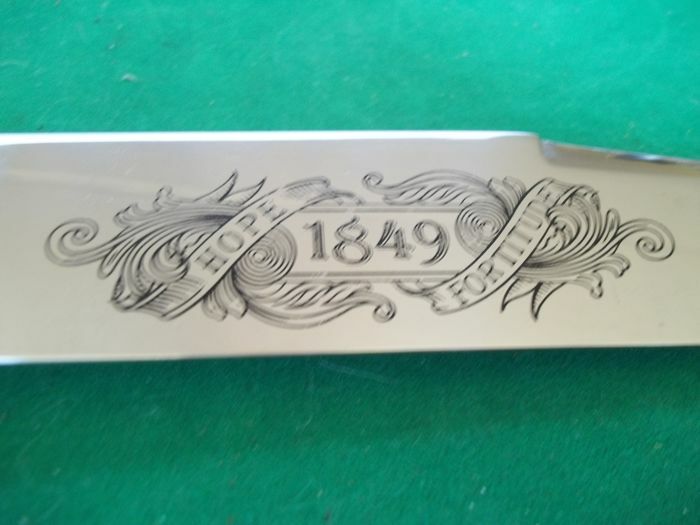 Will be shipped by registered mail with Post.NL, pick up possible in Den Bosch, Noord-Brabant, The Netherlands. 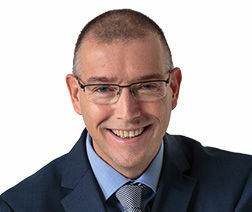 Puoi ritirare questo lotto direttamente presso il venditore: Den Bosch (Noord Brabant), Paesi Bassi.